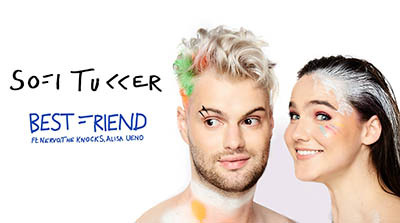 "Best Friend" is a song by American duo Sofi Tukker featuring Australian duo Nervo, American duo The Knocks and Japanese singer Alisa Ueno. The song was released on September 12, 2017. The music video was uploaded on October 25, 2017 by Ultra Records. “Best Friend” is about friendship, being honest and open with each other, remembering past friendships and looking forward to making new ones. The song was written by Sofi Tukker, James Patterson, Nervo & Alisa Ueno.